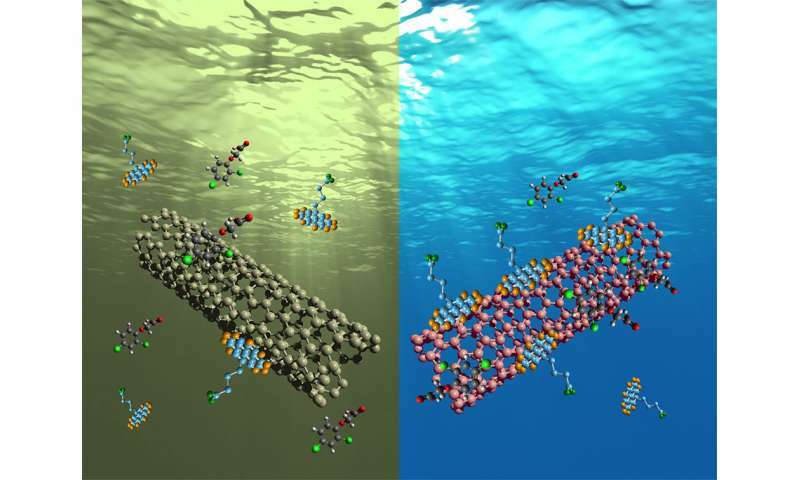 "This aspect is new—taking knowledge of carbon nanotubes and their properties and realizing, with new processing and characterization techniques, the advantages nanotubes can provide for removing contaminants for water," said Rocha, assistant professor in the School of Chemistry and Materials Science in RIT's College of Science. "We have shown that we can regenerate these materials," said Rogers, assistant professor of chemical engineering in RIT's Kate Gleason College of Engineering. "In the future, when your water filter finally gets saturated, put it in the microwave for about five minutes and the impurities will get evaporated off." "Once the papers are formed, now we have the adsorbent—what we use to pull the contaminants out of water," Rogers said.